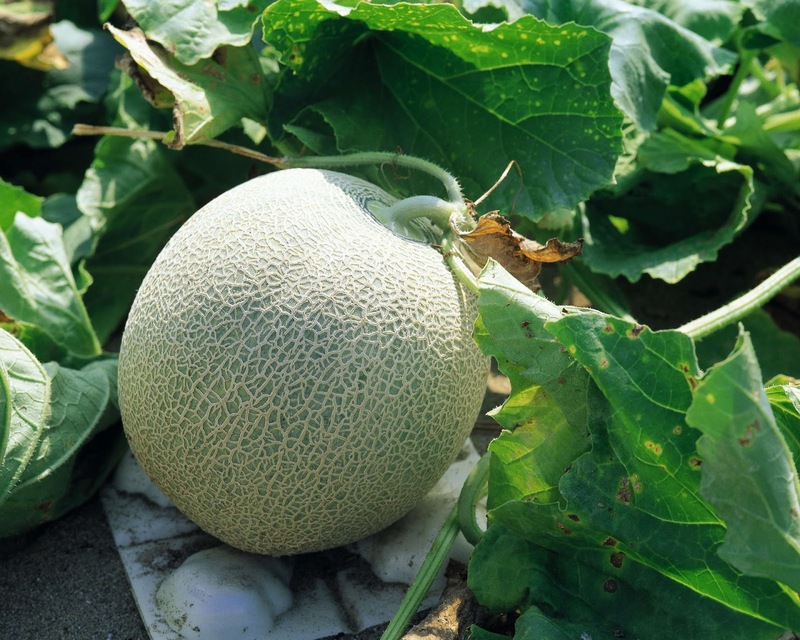 Remarks: Easy to handle, cantaloupe (musk melon) should be pulled down at night and put back in the cooler. 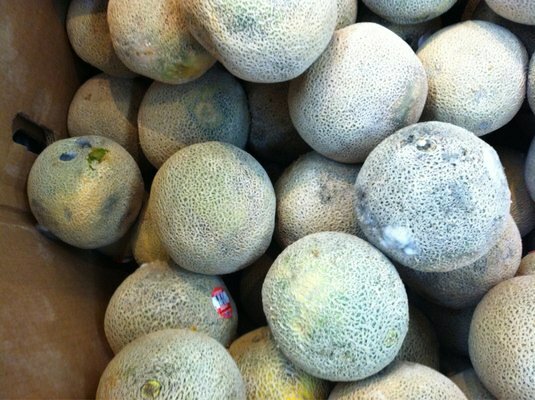 Overripe fruit can be sold as ½’s, used for fruit salad and samples; throw out as a last resort. Displaying: Ripe fruit turns golden-yellow and smells wonderful, place atop your displays. 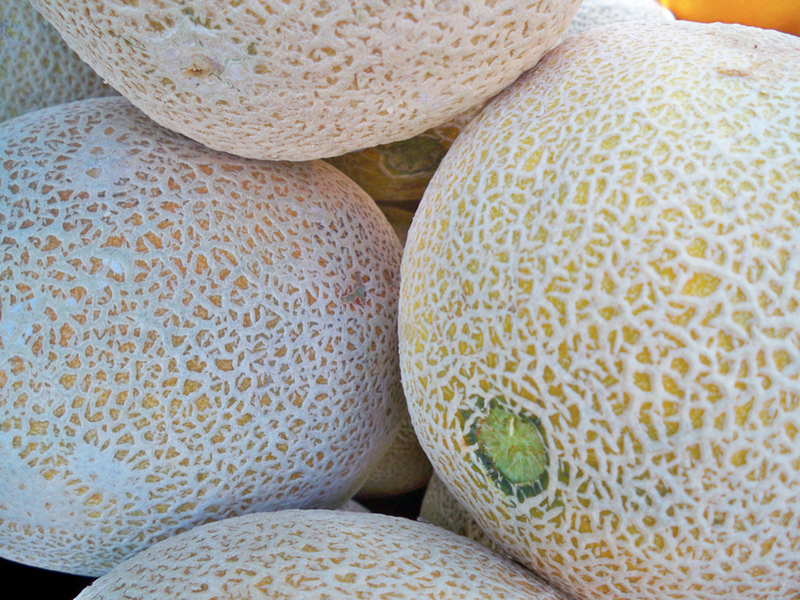 Cantaloupe picked “full-slip” (at maturity) have a clean belly-button and will always ripen. Signs of ripped vines on the belly-button means the fruit was picked too early and will not ripen. Dummy displays during slow times to minimize culls. Receiving: Unscrupulous shippers routinely ship underweight boxes of cantaloupe (industry standard 38-40lbs). Expect boxes to weigh as little as 28lbs. Stores retailing by the pound should always weigh boxes. 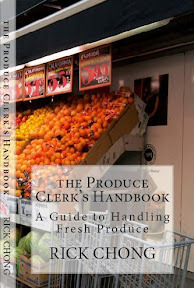 Your store may be losing substantial money. Report grossly underweight labels to the Purchaser. 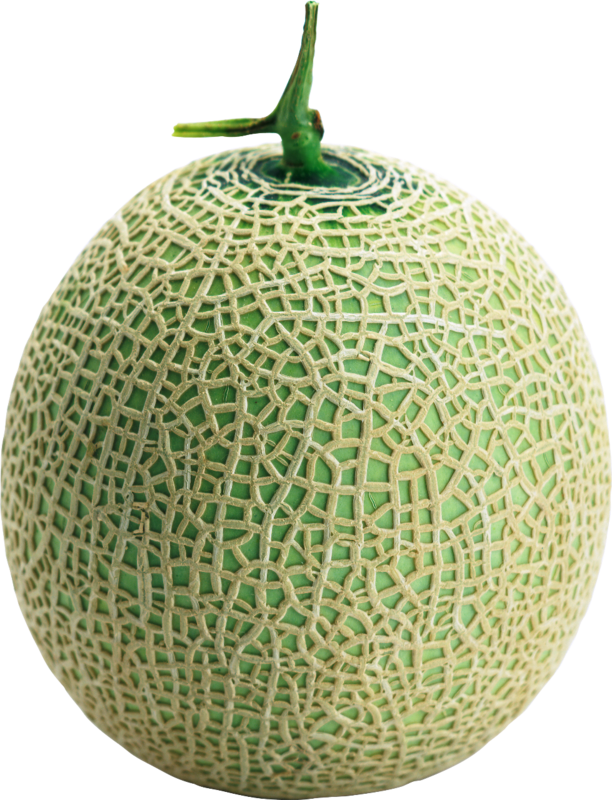 Open boxes and inspect for bruising (indentations), mold and wet black belly buttons. 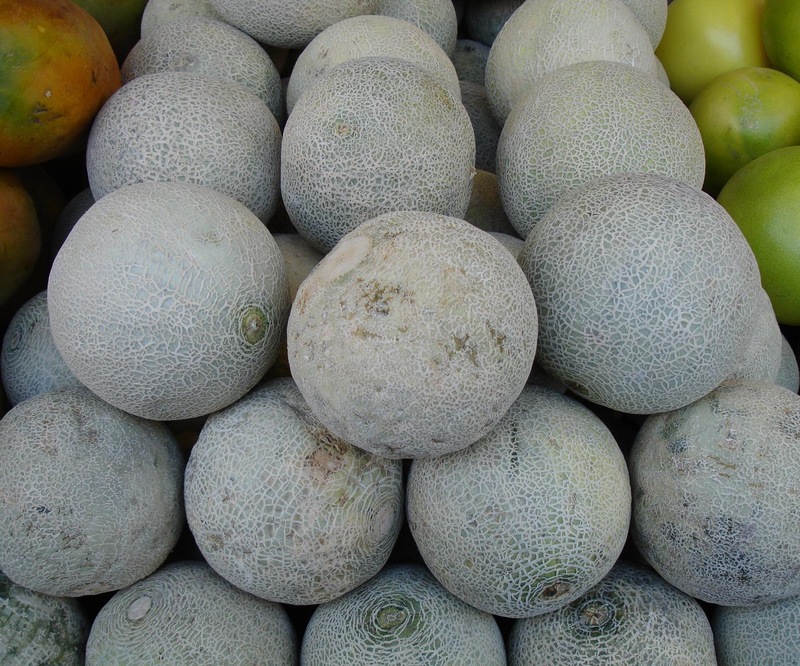 Fruit packed in plastic liners can arrive wet, inspect closely (later open the plastic liners to allow fruit to dry out). 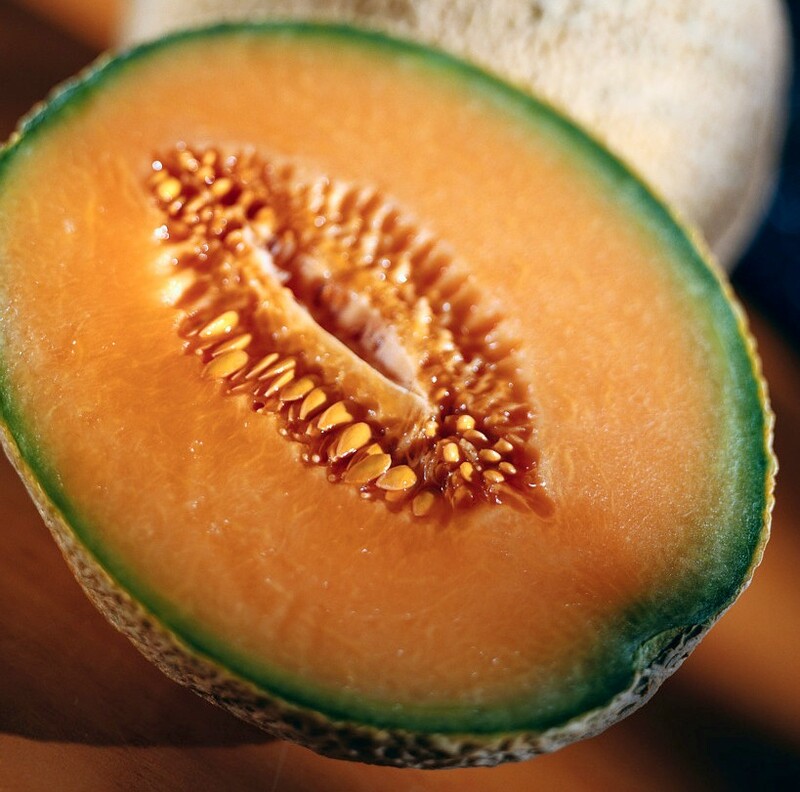 Cantaloupe should be firm, clean and look healthy. If the fruit is ripe (Page 27, Diagram 6B), remove plastic pallet wrap to slow the ripening process. Reject shipments in general with an accumulation of more than 10% defects.